The competition categories are reviewed annually by the Executive Steering Group to ensure we are reflecting the span of skills and competencies that make you so great at what you do. It is important that you look at the role description and not just the category titles because titles vary from company to company. We want to ensure you get the maximum benefit from participation, by matching you with fellow participants with similar levels of responsibility. Entries are invited from individuals with ambitions to become a CRA. 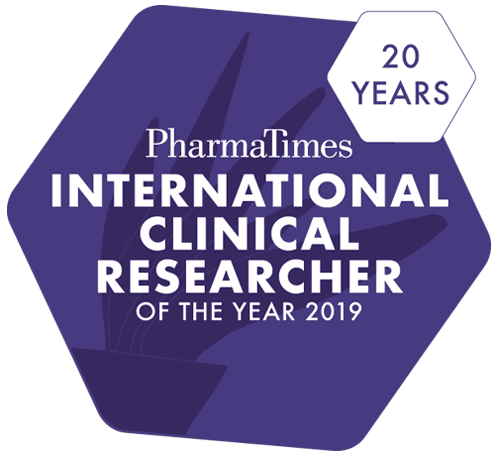 This category is open to those who are working in a clinical research setting but not carrying out the duties of a CRA, or others hoping to secure a career in clinical research. Candidates will include, but are not limited to: Clinical Trials Assistants and other clinical research clerical/administrative staff, staff working in regulatory affairs, R&D, pharmacovigilance and medical information. Entries from students aspiring to a career as a CRA are also welcome. Trainee CRAs who have been in training for less than six months will also be eligible. An individual currently in a Project Manager role working for either Pharma or CRO. Any individual demonstrating great leadership of a team in a clinical research setting. For teams of up to 5 individuals working together in a pharma company or CRO or a mix of both. This category is a team competition. Entries are invited from clinical sites where clinical trials are carried out. Teams may be from hospital, university, general practice or other clinical research institutions. Teams can compromise up to 3 members drawn from personnel who contribute to the conduct of clinical trials including, but not limited to, investigators, research nurses, research office staff and clinical trials support staff. As we evolve this competition we wanted to ensure our categories where reflective and aligned to the evolving landscape and the important role of SSU teams and the skilled individuals in those teams. Most organisations today, pharmaceutical companies, CROs and Sites, have specialist teams and groups of people dedicated and skilled, to support all of the steps necessary to navigate towards site activation. The aim of most SSU teams is to maximise the time window for patient enrolment and hence add significant value by shortening development times and getting medicines to patients faster. This category is open to either a team or an individual who is working in study start up. The team or individual would be knowledgeable and a subject matter experts in this phase or part thereof. When submitting your essay please specify if you are entering as an individual contributor or team (both are welcome).